The Historic Environment Image Resource is a crowdsourced project to tag old photographs and rephotograph them in their modern setting. If you would like to explore our online database of images, click here. HEIR has its own blog – do visit it to find out more about the project and to catch up on the latest findings by the public – our co-researchers. HEIR is a growing digital database of archaeological, landscape and environmental images from digitized lantern slide, glass plate, film, photographs and 35mm slides. The database originated with the HEIR Project. Between c.1880 and c.1950, the University of Oxford amassed an extensive collection of original high-resolution lantern and glass slide photographic images. They form an exceptional visual record of people, places, expeditions, and events from all over the world. Historic photographic images are increasingly being recognized as a vital resource to help researchers understand some of the most pressing current research issues, from environmental and climate change to human impact on the planet. They also generate huge and personal interest worldwide. The Oxford collection is exceptional, and includes unique, irreplaceable images. However, it is a fragile and deteriorating resource. The HEIR project, funded by The Reva and David Logan Foundation and the John Fell Fund was a crowdsourced project to digitise and keyword photographs to create an accessible database of around 15,000 historic landscape and environment images from the late 19th to the early 20th century, to provide an invaluable resource to compare images of the past with the present to have a conversation about the future; to look at the impact of time, nature and people and how it has changed the world around us. The project ran from 2014-2017. 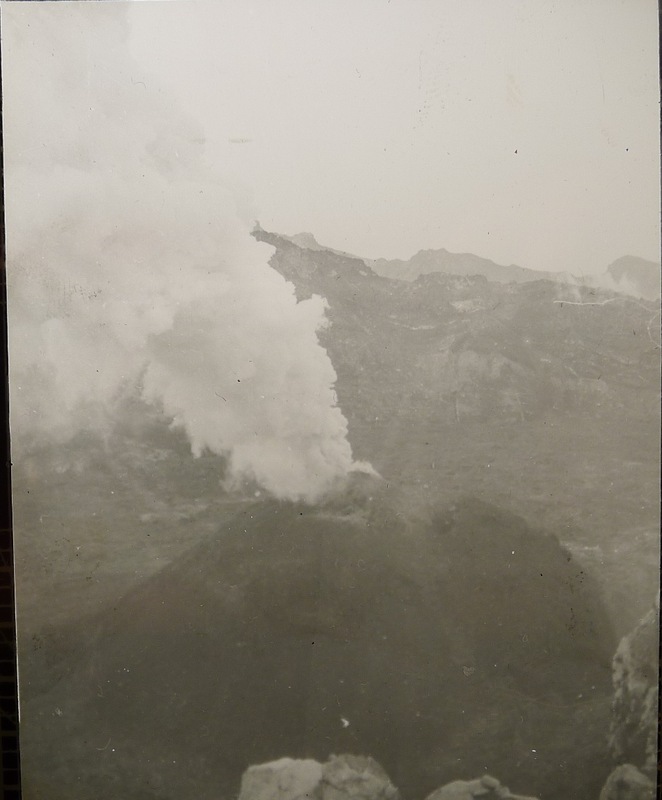 Vesuvius, Italy, 1923. Blackwood Collection. Copyright the Institute of Archaeology, University of Oxford. With grateful thanks to the Reva and David Logan Foundation and the Fell Fund for their generous support. Ashmolean Exhibition 2014 (15th to 21st November): click here.